WASHINGTON — For years, Veterans Affairs leaders and administration officials have promised they won’t let health issues surrounding burn pit exposure in Iraq and Afghanistan become another “Agent Orange” in the community. Now, advocates and a handful of lawmakers are worried it already has. 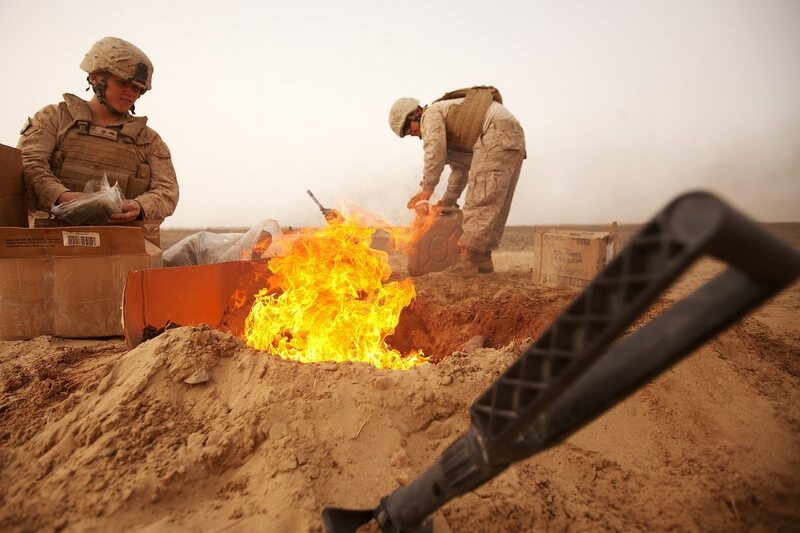 Gabbard and Afghanistan war veteran Rep. Brian Mast, R-Fla., recently introduced new legislation dubbed the Burn Pits Accountability Act to require more in-depth monitoring of servicemembers’ health for signs of illnesses connected to toxic exposure in combat zones. Veterans exposed to the toxic pits in Iraq and Afghanistan are begging government leaders to keep paying attention to their crippling health problems. The legislation is also serving as a springboard for renewed discussion about the lingering problem of burn pits, used extensively in Iraq and Afghanistan to dispose of a wide variety of waste and suspected in a wide array of unusual cancers, respiratory illnesses and other health complications from the post-9/11 generation of veterans. On Thursday, numerous veterans advocates joined Mast and Gabbard at a Capitol Hill press conference to support their legislation but also to highlight the issue, fearing that the once talked-about topic is now becoming an afterthought. I was deployed with many veterans who were exposed to burn pits for extended periods of time every single day. It was just a part of our everyday lives while serving there. This exposure is now proving to result in debilitating and potentially deadly illnesses for many. More than 141,000 veterans and current service members have enrolled in VA’s Airborne Hazards and Open Burn Pit Registry, which allows individuals to document their experiences and illnesses with the department. But those entries are voluntary, and advocates believe the total number of troops impacted by the poisonous fumes from the pit is significantly higher, since nearly every individual who deployed in the recent wars had some exposure to the burn pits. “Even when someone in the military is aware that burn pits existed out there, that doesn’t mean they’re aware of who is affected,” Mast said. “They often ask if you were assigned to a job where you (worked with the pits). And if you weren’t, how could this possibly affect you? Both Gabbard and Mast said the military and VA can do more to be proactive with the problem of burn pit exposure, especially in light of the spotty record with Agent Orange exposure during Vietnam. Decades passed before many rare illnesses linked to the chemical defoliant were acknowledged by either department or authorized for health and disability benefits. Advocates said they fear bureaucratic indifference will mean years of suffering by the current generation of veterans before the proper medical and financial support is put in place. House Veterans’ Affairs Committee members will hold a hearing on the issue next month. Meanwhile, IAVA and numerous other veterans groups have been meeting with lawmakers to find a path ahead, either on the Gabbard/Mast legislation or another plan.